There are numerous places to hear live music in Concord. Between the big venues such as the Capitol Center for the Arts and Concord City Auditorium and smaller places such as True Brew Barista, Penuche’s and NEC Concord – just to name a few – you can pretty much always find someone playing somewhere. But one more venue couldn’t hurt, right? Especially if that one more is a brand-new joint in the heart of downtown with a hip, young vibe and a touch of Concord history. 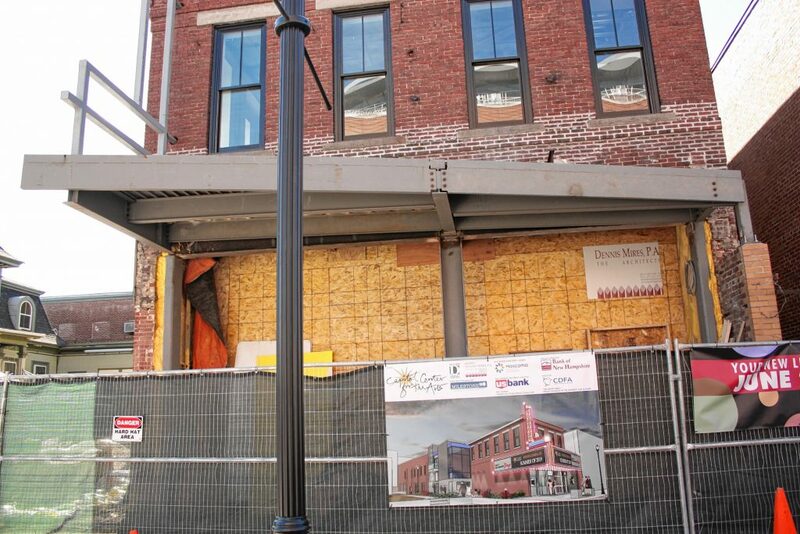 That new venue will be called the Bank of New Hampshire Stage, and it’s set to open June 22. 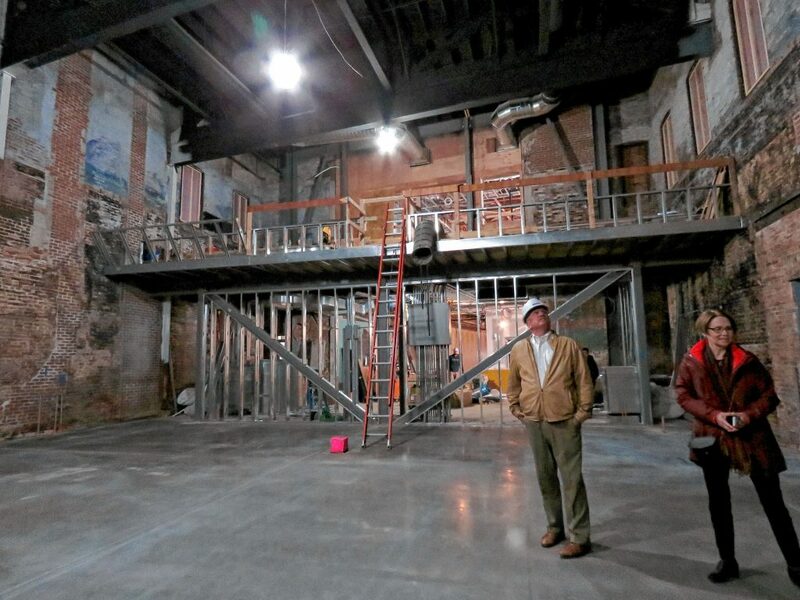 The performance center will live inside the former Concord Theatre, right next to the Concord Food Co-op on South Main Street. The building has been vacant – and messy – for years, but work on the transformation has been underway since August, and the place is starting to take shape. The Bank of New Hampshire Stage is a project of the Capitol Center for the Arts. The new building will essentially be an extension of the Cap Center, but with a different vibe and, hopefully, a different, younger audience. “We want younger people to have a sense of ownership of the venue,” said Joe Gleason, assistant executive director. While the Cap Center puts on dozens of shows every year with a wide range of content, in general, the Cap Center brass doesn’t feel like people in their 20s and 30s really think of it as “their” place. That crowd might catch an occasional show here or there, but for the most part it isn’t a regular destination for the youth. The aim of the Bank of New Hampshire Stage is to attract exactly that demographic and give them a venue that they can feel like is meant for them. On a tour last week, Gleason, Marketing Manager Lynne Sabean and Programming Manager Viv DeWine showed me around and shared some of their ideas for what the new place could and should be. The physical transformation alone is very radical – in a good way. 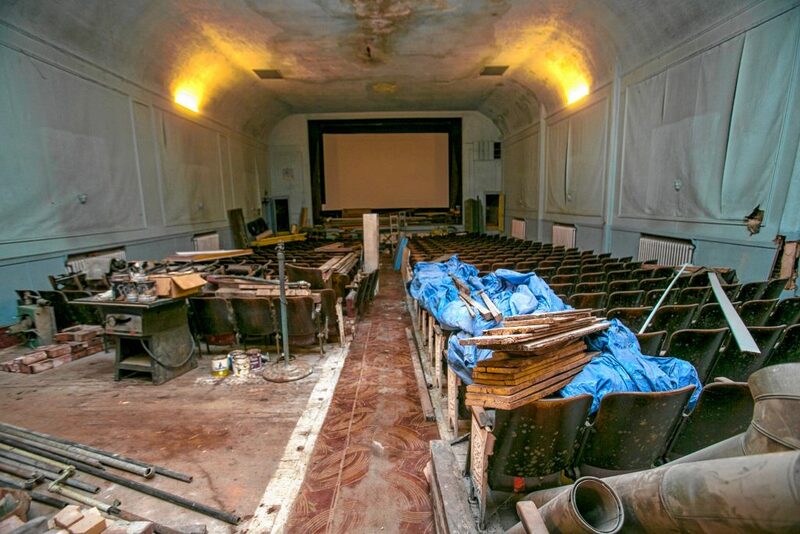 For starters, the old Concord Theatre, a movie theater, never had a balcony. The new venue will have a balcony with at least 76 seats. The BNHS will also feature high-tech retractable stadium seating, with 176 seats in total. When not in use, the press of a button will collapse all the seats and draw all the rows back toward the back wall of the auditorium area, like a much more snazzy version of your pull-out bleachers from your high school gym. Those seats will fill about half of the floor space, and there will be portable chairs in front of those and a front counter – a section of seats right up against the stage. Due to the electronic, retractable seats, the space can be converted from a seat-filled auditorium to a wide-open function room in about 20 minutes, Gleason said. “Quick changeovers are the rule,” he said. 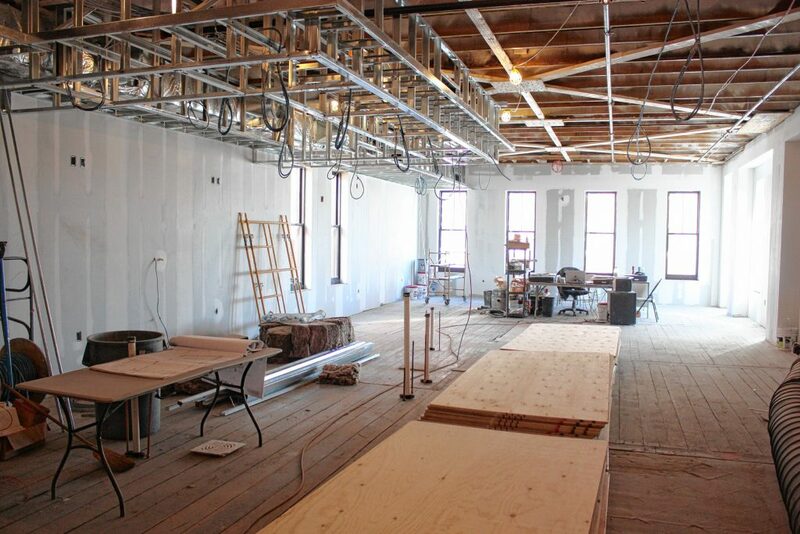 One of the most exciting features of the new space is the upstairs area. Apart from the balcony section, there will be a full bar upstairs with some tables so people can grab a drink and/or a bite and mingle before and/or after a show. With big windows looking right out onto Main Street, this will be one of the swankier places to grab a drink, one would imagine. Food options will be fairly light – small plates, no big entrees. The idea is for the bar to be open an hour or two before and after each show (at either BNHS or the Cap Center), and if you sit down at the bar just a few minutes before the show starts, you can take your drinks and food with you to your seat. In a nod to the history of the building, the original interior brick walls will be retained, along with remnants of paint and designs in some areas. It will give it a different feel from the Cap Center. Opening the venue will be Ed Balloon, a Boston-based R&B/electronic/dance artist that has organizers excited. Also on the schedule is Barika, a “six-piece funky, dubbed out, psychedelic West African flavored band from Burlington, Vt.” Sabean and DeWine said they are looking into all genres of performers to fill this new space, from rap to metal to whatever else the kids are into these days. Check out the schedule and buy tickets at banknhstage.com.